What makes a children’s book good? In Edwardian times, critics might have been concerned with the imparting of morality within the text. These moral instructions can still be valid – does a book show the reader how to be socially conscious, perhaps about discrimination, difference or the environment? Or perhaps it’s about psychological improvement – teaching a child about empathy, imagination, making them happy? Helping that child to identify with someone different, or to see themselves mirrored within the story, to validate their identity and their difficulties, to reinforce the self. But above all, it’s about believable character and good story. 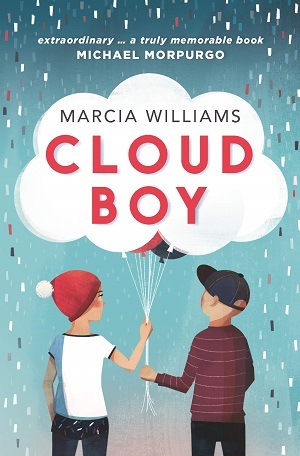 Experienced author Marcia Williams imparts knowledge – this time about some little-known history – in Cloud Boy, and provokes psychological conscientiousness by showing children how to overcome deep adversity, but she has also created a thoroughly authentic main character within an accessible, gripping text. 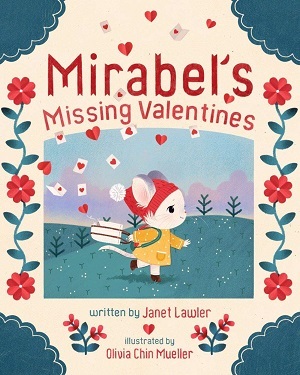 The book is written in a child’s diary format, which gives the text an absolute simplicity and makes it easy to read. Angie keeps a diary about her life and her friendship with Harry, the boy who lives next door. Together, their fathers have built them a treehouse, which straddles the two children’s gardens, and serves a purpose for them both – a place for Angie to draw and write, and a place for Harry to watch the clouds – he’s an expert in identifying the different formations. When Angie’s grandmother comes to stay, she shares with the children the letters she wrote as a prisoner of war during Japan’s occupation of Singapore. Drawing on a survivor’s tales of life in the Changi Prison during the Second World War, Williams blends the two stories – the modern children and the tragedy that strikes them, and the history of the Guides in the Changi Prison, and how they sewed quilts to pass the time and create a symbol of hope and endurance. There is a poignant naivety to Angie’s writing, as she struggles to comprehend how sick Harry is becoming, whilst the reader is all too aware. The stabilising force of her grandmother, who has endured hardships unimaginable to our modern sensibility, enables Angie and Harry to find coping mechanisms to face their own adversity. 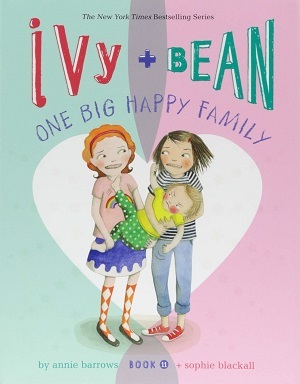 Like other modern children’s books, the growing awareness of inter-generational relationships and their intense value is well documented here, as grandmothers in literature become more than silver-hair-bunned figures knitting in rocking chairs. The children’s eagerness to hear their grandmother’s history speaks to the need within us all for a knowledge of our ancestry and identity, but also provides a framework for learning about resilience. All the while, the treehouse represents a place of calm and safety, of independence, as Angie has to learn to deal with her emotions. A treehouse also provides the ability to see things from a different perspective – gazing at the clouds or perhaps on the people below. The careful positioning of it in this novel gives the children a physical structure in which to cement their friendship. But readers should beware – at times the cruel adversity written about seems much more advanced and harsher than the level implied by the simplicity of the vocabulary and ease of the text. The brevity may suit reluctant readers but there is immense depth in the emotion portrayed – and this is one of Williams’ strengths – she easily portrays Angie’s difficulty in dealing with her strong emotions, and shows incredible pathos in her depiction of Harry’s mother. 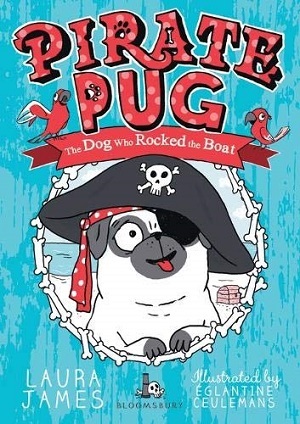 This is not an easy read in terms of subject matter, but it is worth acknowledging that not all children’s books can be filled with happy endings – not everything does end happily. However, there are glimpses of hope and optimism, and the possibility of how life continues despite the adversity faced. Williams has woven her own gem here, inspired by an exhibition at the V&A Museum in London, and a glimpse of a Changi quilt – a single object of love and endurance. It’s a fascinating piece of social history, and well worth exploring. You can buy a copy here. This is a clever novel. It’s no surprise, coming from an author shortlisted for the Waterstones Book Prize this year for her debut, The Mystery of the Colour Thief. Ewa Jozefkowicz’s new children’s novel, Girl 38, is written with the same lucid fluidity: accessible, readable, and highly immersive. 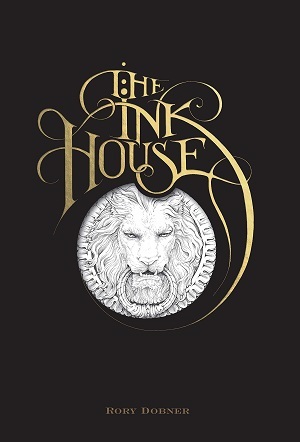 The book is set out as three distinct strands, but all come together in great storytelling fashion to illuminate the key themes of the book – friendship, courage, intergenerational relationships and the lessons learnt from history, and also, somewhat surprisingly for a novel, the power of visuals. Twelve-year-old Kat loves to work on her comic-book heroine, Girl 38, who has traits she wishes she could emulate in real life. The comic is set in the future, as Girl 38 space-travels to new places with a calm and measured courage, even in the face of Vilks (humans with wolf-heads, yellow eyes and sharp fangs). But in her real life, Kat faces her own adversities. 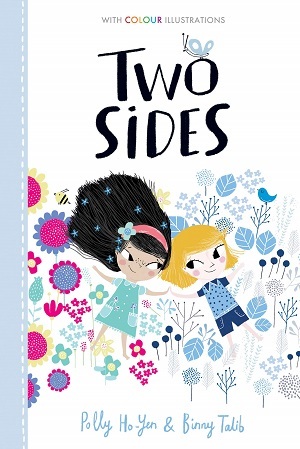 She feels lonely when her parents work long hours, and her best friend doesn’t always act as such – in fact, before long Kat begins to see that she’s trapped in a toxic friend relationship, and that if she could build up the courage, she might find truer, better friends. 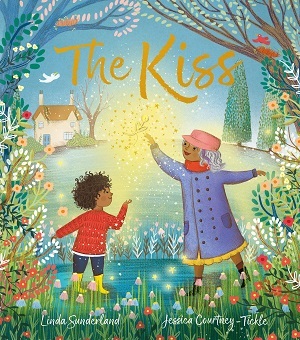 Courage is contagious, and when Kat befriends her neighbour, Ania, an elderly Polish woman with a penchant for painting, Kat begins to hear Ania’s childhood stories, and before long, understands the meaning of true friendship – something she can put into practise in a relationship with the new boy at school, Julius. What should feel complicated, actually reads simply and with a gentle truthful wisdom. Although we see Kat’s life through her eyes, the small distance and perspective afforded to the reader gives them the ability for objectiveness and readers can root for Kat to do the right thing, and not be consistently led astray by her mean best friend, Gem. There are particularly astute and wise signposts for the reader – Kat’s parents are busy, although not disinterested. They hover, but not like helicopter parents, so although they see the strain in the friendship, they don’t rush to interfere. But where the reader really gets to think is in the stories of World War II that Ania tells. From jumping from a train, to deciphering which soldiers are friendly and which aren’t, to navigating through a war-torn Europe to save a dear friend who has been taken away to a ‘walled village’, persecuted simply for being different. 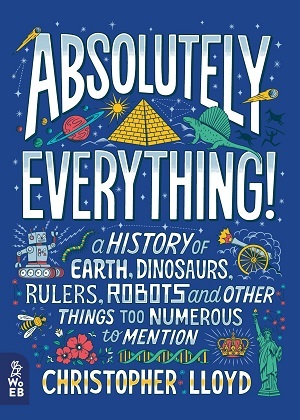 There’s a relevance to the book of course, in its attempt to show how empathy can teach us to be kind, how we need to look at history for its lessons. 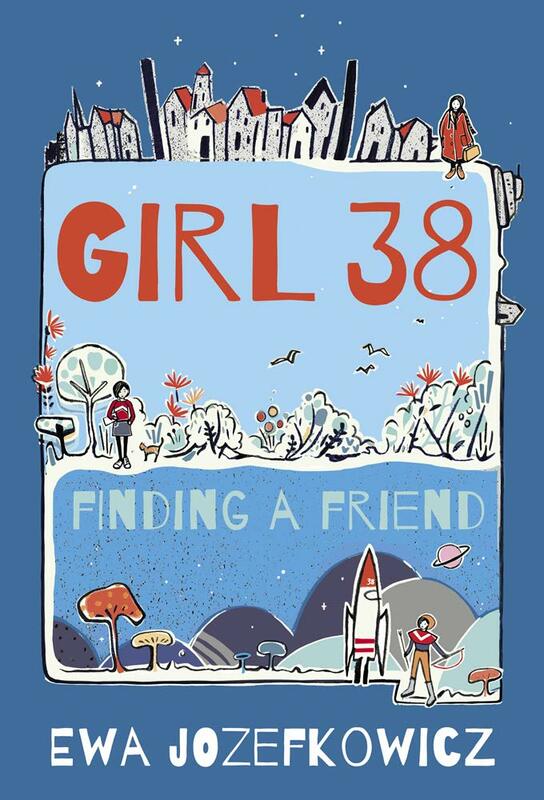 Jozefkowicz brings together the different strands to show the reader about belonging – Girl 38 finding a new planet on which to reside, people in Europe seeking safety, and even in Kat’s modern world – welcoming newcomers who may act and look different, but, of course, are human too. The characters are painted with depth and understanding. Ania’s cultural heritage is strong in both the objects that surround her and the stories she tells. 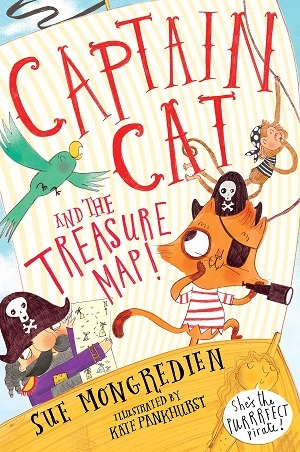 Kat and her friends are deeply ensconced in our modern world – the phone is used as a plot device – but it is the children’s modern relationships that are so well depicted. The sly toxicity that Gem promotes, whilst still remaining a rounded character with whom we have sympathy, the small differences that make Julius stand out. But the overarching heart of the book is in the sharing of stories – of Ania’s painful memories of the friend she lost, of her attempting to express her sadness in a creative way, and the compassion and empathy it stirs in her listeners – in how the contemporary reader will see that courage begets courage, that history is so much more than dates and battles, and that comparative thinking – across generations, time periods, and methods of creative endeavour – can teach understanding and awareness. 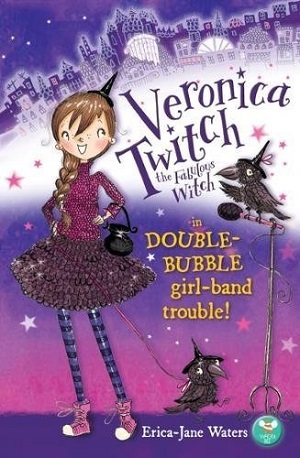 This is strong and impactful writing packaged in a simple story with mirrored events and clever plot turns. It implores us to use our time thoughtfully. And what better way than to read this novel. You can buy it here. Massively hyped already, with marketing material yelling ‘for fans of David Walliams’, this first of a brand-new series actually does live up to the hype. 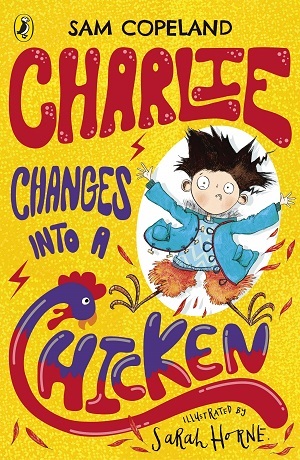 Aimed at a young fiction readership, aged seven and up, Charlie Changes into a Chicken is a delight. 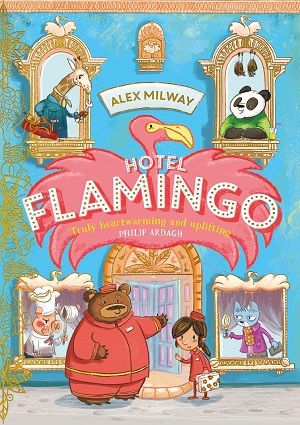 A genuinely funny, pacey adventure story that has a healthy dollop of pathos and heart from a writer who obviously understands and spends time with young children. Charlie McGuffin worries about everything. 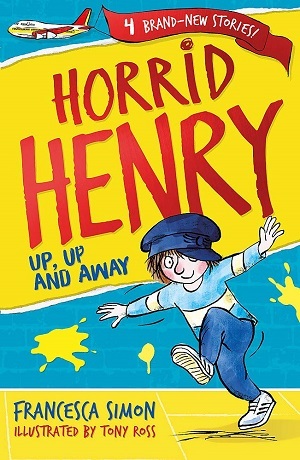 He worries about his brother, who is not very well in hospital, his parents, who are worried about his brother, and he’s worried about garnering any attention from the school bully. Then he finds another thing to worry about – when he worries, he turns into an animal. At first, he metamorphosises into a spider (and with far more anxiety about his situation than displayed by Kafka’s protagonist). Before long though, this change is happening more often, and at the most inopportune times. 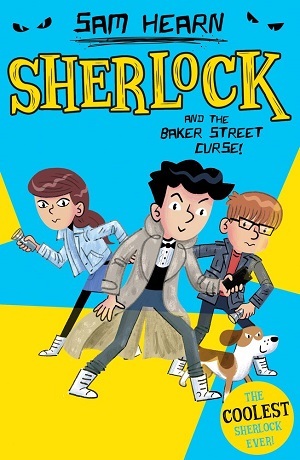 With the help of his three friends, Charlie must find a way to stop the transformations happening, and prevent the school bully from revealing his secret. One of the best features of this young fiction title is Copeland’s approach to the writing. It reads as if Copeland is telling the story to the reader personally, and with this intimacy comes reassurance, which is exactly the effect wanted. This is not a new device – in fact it’s in part what made Dahl so successful in his novels. Here, the intimacy inspires confidence in the writer as a storyteller but also as a warm, approachable understanding adult, so important when, deep down, this book is about overcoming and dealing with anxious thoughts. On the surface though, the story’s a laugh a minute. From the footnotes in which Copeland gets to extrapolate silly facts or simply extend his jokes, to the plot structure itself which gets funnier and more enjoyable the greater variety of animals Charlie turns into and the places in which he does so. 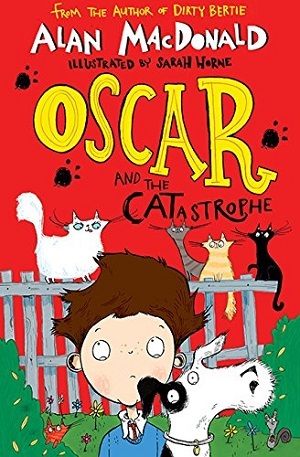 The pigeons in the playground incident is particularly amusing, as is Charlie turning into a rhinoceros in his somewhat small bedroom (and needing to go to the toilet). Indeed, there are toilet jokes a-plenty, but nicely packaged within the overwhelming anxiety Charlie feels, so that they are there for a purpose. There are nail-biting moments too – the incident in the Head’s office, for example. But what many readers will find succour in, is the friendship group. Charlie summons the courage to share his strange ‘superpower’ with his diverse, hilarious friendship group with all their vastly different personalities. My favourite is Flora, who attempts to discover the reasons behind Charlie’s metamorphosis – her theories fail at first, but she perseveres. As well as teaching a valuable lesson, her attempts provide a raft of laughs. Even after the book has finished, Copeland continues to address the reader with a series of fake questions from readers and answers from himself, as well as a letter from the publishers. All induced an amused wry smile. Copeland is certainly a writer with impeccable comic timing, but also one who understands plot structure. Coming from a literary agent (Copeland’s day job), this shouldn’t be a huge surprise, in that he understands how a book works, but what is refreshing is the intimacy formed with the reader, the light touches, and the insightful imagination. Charlie feels real, despite the ludicrousness of the plot, and his group of friends just like yours or mine. Sarah Horne’s black and white illustrations feature throughout, and are injected with just the right amount of zaniness. 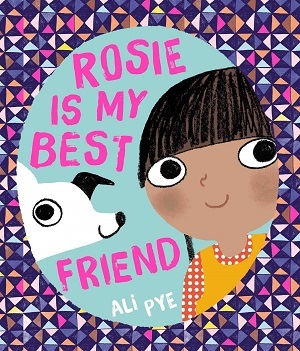 Horne excels at quirky and her characters are differentiated, appealing and expressive: the step-by-step transformation into a pigeon particularly funny. The book works thrice. 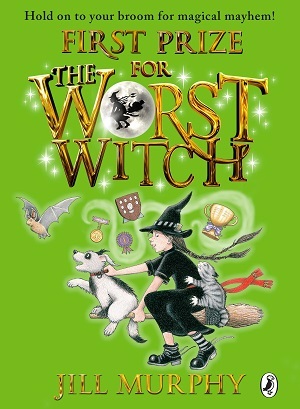 Firstly, as a good read for the age group with lots of plot, a fun premise and laughs-a-plenty. Secondly, as an antidote to anxiety – it shows how problems are often entangled with embarrassment about sharing them – the fact that Charlie’s anxiety manifests as an embarrassing problem itself is the whole point – and Copeland shows that fiction can be a calming and positive way to highlight mental health issues. And thirdly, as a conversation with the author. Sometimes, under stress or needing escape, books can become friends themselves. 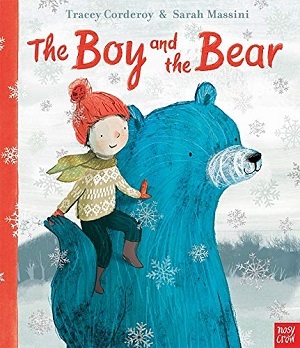 And with such a calm and witty author hand-holding the reader’s way throughout the book, this is one novel that children will embrace again and again. No wonder there’s hype. 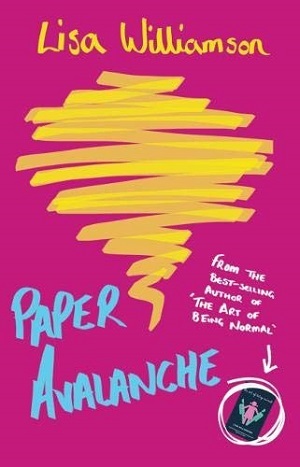 This is a cracking novel, brilliantly funny, warmly reassuring. You can buy it here. There is a Year 1 girl in my library club who is obsessed with unicorns. 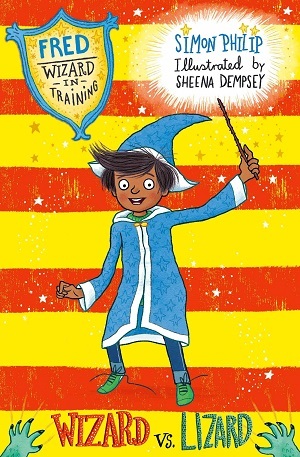 She can recall every book in my library that features a unicorn (and not just on the cover). So, in a few years’ time, she’ll delight in reading Unicorn Girl by Anne-Marie Conway. Not many children’s books start with a funeral, but when Ariella’s grandma dies she not only leaves her with a sense of sadness, but also a unicorn charm. Days later, Ariella spies a real unicorn in the empty field at the back of the house. The unicorn proves useful in helping Ariella with her feelings of grief, as well as with her worries about her baby brother who is born with a hole in his heart, and settling in at her new school – which is proving more difficult than she thought, especially when one of the girls, Belinda, starts picking on her for her size (Ariella is small for her age). Wouldn’t it be helpful if we all had a unicorn to deal with our anxieties? This novel from the award-winning author of Butterfly Summer captures its readership with its authenticity – despite the book venturing into magical realism with the appearance of a unicorn. Conway works as a drama teacher, and her knowledge of schools and how they operate today is plainly apparent and lends the book a huge dose of realism. The lessons, the teachers, and the pupils feel more real than many depictions in the children’s books I read – even down to the minute details of topics learned, the impact of a good teaching assistant on children who are struggling, and the ability of children to perform actions unseen by staff, no matter how diligent the teachers. Many of today’s children are consumed with worries, observing the stresses of their parents, absorbing the changing attitude of older teen siblings, and struggling to navigate through the landscape of friendships. 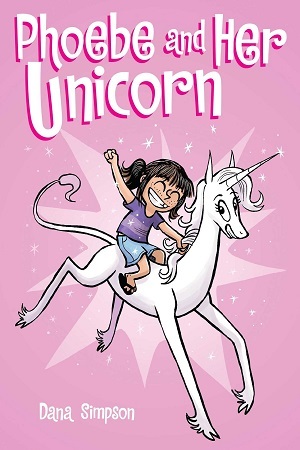 Conway piles worries on Ariella, but the book never feels too sad – there are shimmers of hope in kind supportive adults, and also of course in the introduction of the unicorn and its magic. 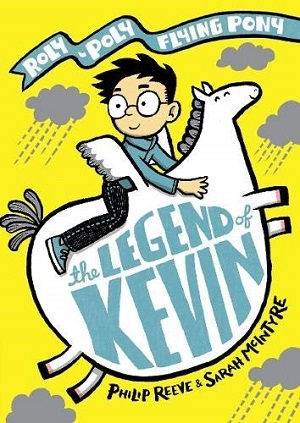 Conway is clever here too, giving the unicorn its own backstory, and applying scruffy characteristics to it, so that by the reveal at the end, it becomes very clear to the reader what’s going on. The unicorn brings not only a sense of wonder and possibility, but also a calm space in which Ariella can breathe and contemplate. Conway’s prose is absorbing and readable, and she touches on difficult themes with a sensitive and emotionally intelligent eye, observing not only the realism of schools, but also a keen understanding of a family under stress, and the dynamics of how each member of the family deals with the emotional upheaval, before finally coming together. What’s particularly heart-warming is the way in which the book has been published. 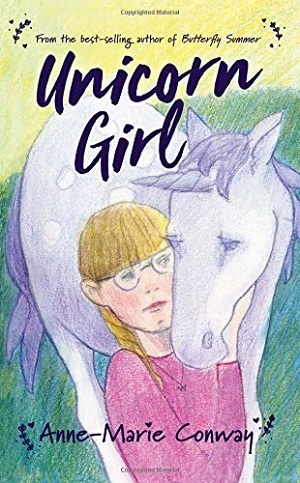 Anne-Marie Conway had finished her draft of the book, in which Ariella finds incredible solace in a particular unicorn book she finds in a hospital library, when she was approached to raise some money to build a new school library at her child’s school. Now, profits from Conway’s published book are being donated to building that new school library for her local school. You can click on the link here to see the fundraising project, and here to buy a copy of the book.